Van Donovan's half of our art trade. 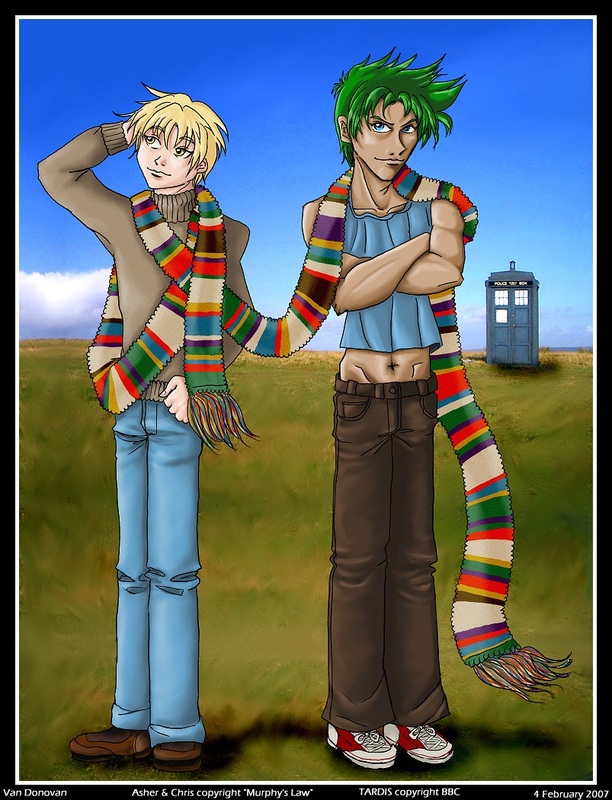 He drew my character's Asher and Chris from Murphy's Law with the Fourth Doctor's scarf! ^_^ It's like having all your favorite things put together: Murphy's Law and Doctor Who!